This is a summary of a recent large class action shingles lawsuit against GAF Timberline Shingles. In 2013, a major legal action took place, with the claim that shingles have been prematurely cracking and failing on thousands of roofs, due to material and manufacturing defects. Our goal is to inform you about GAF’s alleged sub-par manufacturing practices, deceptive marketing, and lack of care for the consumer, as related to this case. While the GAF lawsuit has been settled in April 2015, we want to make you aware of this situation and summarize the case, because there is a complete lack of media coverage on this issue. The actual number of people involved the class action was not disclosed, but there were more than 10,000 warranty claims related to this problem, that were filed in just one year. Since the shingles in question were manufactured from 1998 to 2009, at the rate of 10,000 claims per year, our guess is that there were at least 100,000 failed Timberline roofs. The company has been covering up this issue for years (we will show quotes from high-ranking company officials), failing to inform homeowners, roofing contractors and state authorities, or to recall the defective product. 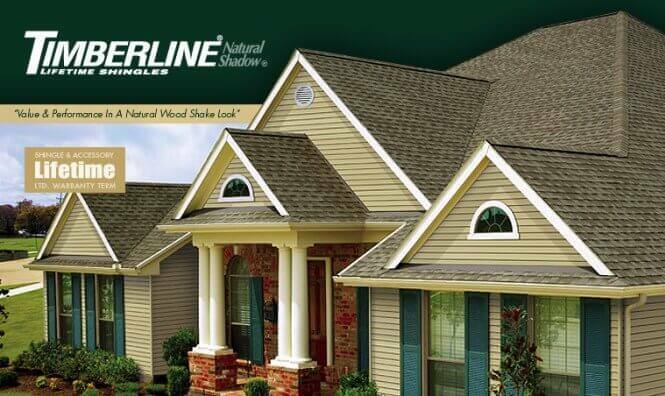 What Are Timberline Roofing Shingles? In the residential roofing market, for many years GAF has been holding the top spot as the “Largest Roofing Shingle Manufacturer in North America”. 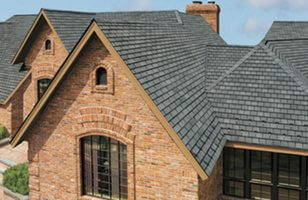 Its top selling roofing shingles, Timberline, have been installed on millions of homes across the US. In 2013, a class action lawsuit, titled Building Materials Corp. of America Asphalt Roofing Shingle Products Liability Litigation, MDL No. 8:11-mn-02000 (D.S.C.) was brought against GAF. Plaintiffs claimed that the company’s Timberline products have a defect that makes them prone to prematurely crack, tear or split. 1. 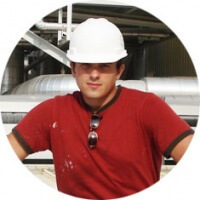 Between 1999 and 2007 at GAF’s plant in Mobile, Alabama. 2. Between 1998 and 2009 at other GAF manufacturing plants. 3. Damage to other building materials (anything directly connected to the shingles themselves or the roof System, such as flashings, gutters, siding, valley metal, crickets and saddles, plumbing vents, and soffit and fascia). During the course of the investigation it was discovered that for many years GAF deliberately continued to hide Timberline’s defects from suppliers, installers and consumers, while actively marketing it as a top quality product. 1. By late 1990’s GAF received information about premature cracking on many of its roof shingles, including Timberline. To address this issue, the company assembled “cracking teams”, who investigated the source of the problem. As a result, they discovered that defective raw materials and inadequate manufacturing practices were used to make the shingles in several of its factories, including facilities in Minneapolis, Minnesota; Baltimore, Maryland; Millis, Massachusetts; Fontana, California, Dallas, Texas and Mobile, Alabama. For example, one of the findings was that the cracking claims increased by 43% from 2001-2002 alone. A 2006 report by GAF employees, Sudhir Railkar and Adem Chich, revealed that the company received 10,170 cracking complaints for Timberline products through 2002. The average age of the roof subject to a cracking complaint was 7 years. In 2002-2003, investigations were conducted in the Minneapolis facility. In August 2003, a GAF employee, Guy Gimson, issued a CQA report, titled “Minneapolis Shingle Cracking”, which outlined testing conducted by GAF that proved that its laminated fiberglass shingles, including Timberline, cracked at low temperatures. Other internal documents revealed that “Shingles made in Minneapolis are cracking during warranty preview”. The time frame provided in that report for the issue being analyzed was “products manufactured since the 1980s”. At around the same time, investigations were conducted in Mobile, Alabama, and Dallas, Texas, facilities. They also revealed cracking problems. Internal reports described laminated shingles as having a “high failure rate” in all regions and climates where they were sold. 2. By 2002, the company received more than 10,000 “cracking claims”. It paid out several million dollars as a response to the claimants. However, it continued to conceal the true nature of the cracking, did not recall the defective shingles, and didn’t advice consumers about these problems. 4. The severity of the problem and its coverup was best summarized by GAF’s Vice President of Engineering Services, Mike Ferraro, who stated that no other problem was “more extensive, had more involvement at the highest levels” than the premature cracking of Timberline roofs. However, internal testing, confirmed by the company’s head of Quality Assurance, Guy Gimson, reveals that more than 5% of Timberline products experienced premature vertical cracking. 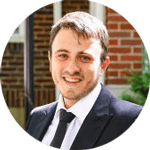 During the investigation, several company representatives, including Adam Chich, Director of Research & Development, admitted that the above claims are inaccurate. 3. GAF manufactured 3 types of products in this line: Timberline 30 (designates a 30 year warranty), Timberline 40 (designates a 40 year warranty), and Timberline Ultra (designates a 40 year and a Lifetime Warranty). These warranties specifically warrant the performance of these shingles for a designated time into the future (longer warranties also cost more). As a result, consumers find these warranties meaningful and trust that their roof will last for the stated time period. Side Note: Later on, in the mid 2000’s, GAF and other roofing manufacturers in the US, removed the label “30, 40 and 50 year shingles” and relabeled all of their architectural shingles as “Lifetime”, while not making any significant changes to improve longevity, which is indicated in their warranties. 4. GAF did not conduct any testing or engineering analysis to determine whether Timberline would actually last for the period stated in the warranties. Instead, the warranties served largely as a marketing ploy to meet or beat warranties offered by competitors. 5. All products were stamped as meeting the designation ASTM D3462, in effect falsely representing that the shingle has been manufactured, tested, and inspected, in accordance to the standard and meets its requirements. Moreover, since they did not meet the ASTM standards, they also failed to meet local and state building codes, and where legally prohibited from being installed. As a result, consumers purchasing them falsely believed that they were getting a fully-compliant product. One of the worst practices that surfaced during this lawsuit was deliberate and poor treatment of consumers who tried to file warranty claims when their shingles started to fail. 1. Prior to experiencing cracking problems and other subsequent roofing damages, consumers and installers had no way of determining that they got a defective product. 2. In many cases, GAF did not repair or replace the defective roof, or didn’t fully pay for the damage caused by premature cracking and shingle failure. 3. When claims where made and plaintiffs tried to inquire about the cause of the cracking, the company did not disclose the fact that the product was defective to begin with. 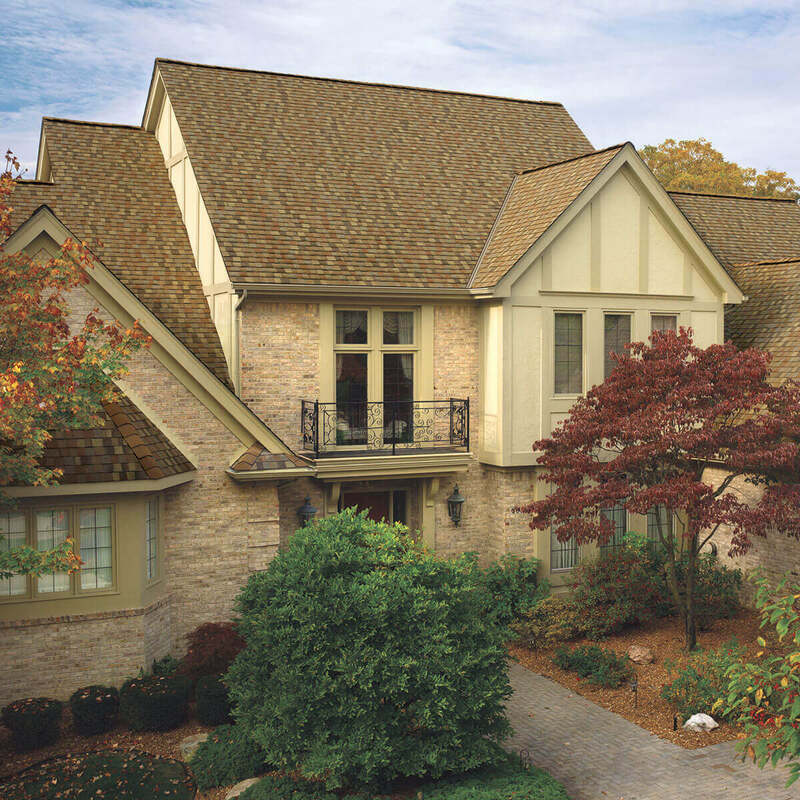 As a result, GAF breached its express warranties for Timberline roofing shingles. The lawsuit was settled on April 22 and 23, 2015. The total amount of payoff to plaintiffs remains undisclosed. The award included either replacement roof shingles (comparable to the product installed) and/or a cash payment. In some cases, depending on the evidence presented in the individual claim, there was a potential to receive payment for other damages, such as the cost of labor and any damage to the roof system and other building materials. GAF never issued any public statement admitting the defective nature of Timberline products, the existence of “cracking teams”, and the use of sub-standard materials and practices in the manufacturing process. In the 1990’s, another class action lawsuit was brought against GAF Timberline. This was Coleman, et al. v. GAF Building Materials Corporation, CV-96-0954 (Alabama Circuit Court, Mobile County), and involved claims of prematurely cracking and defective shingles. This case involved only shingles manufactured prior to December 31, 1997. The company paid out more than $13 million to settle. According to court documents, once GAF discovered serious problems with its raw materials and manufacturing practices, it has changed both, to actually meet the necessary ASTM standards. However, the company has not issued any public statement regarding these changes, and there are no field testing results of the “new generation” products that we know of. GAF continues to market this line, making the same claims regarding its quality, durability and warranties, as it did prior to the lawsuit. If the original Court Document was removed (this happens sometimes), we’ve saved a copy here. I just contacted GAF about the warranty on my roof. The roof is 4 years old and already is cracking, losing granules and has discolorations all over. My roof looks like it is 30 years old. It has to be replaced. They sent me a very long list of things I must do, including removing two entire pieces of shingles off my roof. I am a recent widow and have no idea where to start. My husband tried to deal with this before he died but I have taken over. I think they should sent out some representative to look at the roof instead. I have all my proof of purchase papers to prove what I bought and when so that is not a problem but I am not going to start ripping down part of my roof. I was told by Linda at GAF that she would send that box for the damaged shingles and she has not to this day. I has been around 8 months now. The customer sales manager is sending out massive emails that I am NUTs according to the contractor; my roof is leaking and he got a letter form GAF about taking care of the situation, and he so smoothly put it on, the reason he does not want to address the issue is because “I AM CRAZY!’ I so wish I could post pictures. See Sadie Redd on Twitter for my posts. Sorry to hear about your problems. 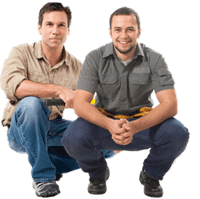 Have you had GAF’s inspector come out to your house? Does the Golden Pledge Warranty say anything about granule loss? If you are getting a run-around, contact Department of Consumer Affairs and/or FL Attorney General’s office. They should have some sort of consumer protection programs / agencies. See where that goes. BTW, you should keep records of all your communications with GAF and your contractor, going forward, and I hope you have records from previous conversations. Email is one of the best methods for this. However if you send something in writing, take pictures with your phone, before you mail it. I am not sure if it is legal for you to record phone conversations, but since most phones support this feature, you can Inform the other party (GAF or your roofing company) when you speak with them on the phone, that you will be recording it (they probably already record you). This “should” make it legal, because by continuing speaking with you, after you tell them that conversation is recorded, they “give consent”. Now this is NOT a legal advise, so speak to a lawyer about phone recordings. I hope you get this resolved. What I could try, is talk to some GAF people on LinkedIn (I have many of them as “connections”) … maybe they could help out. Finally, if or when you get some funds for your roof – don’t install asphalt shingles again… go with metal. Leo, they do record your conversation; I have subpoenaed all documents; or all they would release; and one of those is the discussion of a such a call, as I complained that the customer service manager just quit talking as I called out her name many times; Nicole and she told upper manage, I alleged, that I hung up on her. At least the person whom reviewed the call, stated the call faded out; OH YES IT DID; it was her end of the call; Linda said the same, as I was most aggravated when they said, this is not GAF’s problem you have to contact the contractor, GAF is not responsible in the most snarky tone. This same contractor has 3 lawsuits with three different attorneys going in the same county of those not wanting to pay him for his crappy work, as I allege; and my issue includes these crappy shingles. He knows how to use the court system, so he does not have to do anything right; and GAF ELITE MEANS NOTHING! His work is substandard he can play the game, as he never ONCE came to look at the problem, even denies there was ever a leak on BBB. He harassed me on Google Review too. Leo, I thank you for this website so we can understand and if I build a home in a few years and get away from this allege corrupt city government; I would. If you were in the TN/NC area, that would be my area could you put one on, will it be noisy; if hail hits it, how much damage does that cause; however, in the meantime, I think what people are saying they may not be able to do that right now after their expense. I cannot. Maybe GAF needs back to back Class Action suit, and I am willing to start a search for an attorney group who is willing. I see how GAF’s reaction is, they believe their contractors, as their terms and policies mean nothing. I see how GAF customer service is; they do not care, only pretend to, as they had a representative to call; I got subpoena information request Jan 11, sent and they respond 3 months later the day before the trial; as I have workmanship Master Elite issues plus the Shingles with GAF it is a mess. Betsy in the Mobile AL area 803-276-2532 will give you names at GAF to call; then you will be sent to someone who is operating as the authority of that division. Personally I would rather stick a needle in my eye to speak with either Linda, or Nicole at GAF; here is their game, if you do not hear them and it sounds like they hung up; they are still on the line, they are just waiting for you to hang up, so they can say that you did. I have subpoena my records and let me tell you; this is a huge cover up I allege, and they have contractors out there peddling off their rotten goods. It is time for another suit. Stay in touch. I am calling my division, as I am not of the South East, but in the Midwest. My product came from ABC like Douglas poling; so which we could post pictures. Run to your Atty Generals Office with this information and if this is trued; sounds like fraud and contact theirs in NJ; I promise you are not going to be alone. GAF is huge on a good standing for their Contractor Master Elite’s having a good BBB rating, but it does not matter that they are not even accredited, so make sure you go to NJ their headqtrs and yours too. This comment is for Douglas; you mentioned ABC Supplies, and they are headquartered in Beliot, WI; which gives me reason if you obtained your shingles from GAF through their distribution center then these extremely faulty shingles are being sold through their distributorship. I, too, have been sold shingles from this source; so does that make you in the Midwest area of the US also? They may be distributing these damaged shingles to many in this area and the Atty General Office needs to be informed. I believe that another class action suit should start; does anyone have the attorneys for this last class action one available? How did the Atty General not get involved in GAF’s deceptive practices for withhold information from the consumers; did anyone report them? or even the FTC? 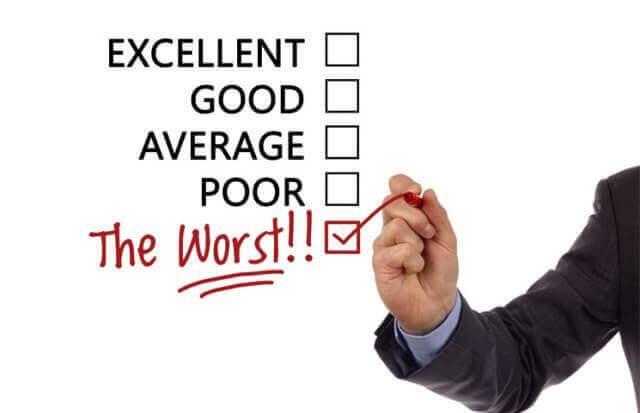 Customer Service with GAF is just a nightmare; their Master Elite Certified Contractor program is worse; totally ridiculous now with the newer “add-ons”; as all I have experienced it gives the “unconventional,” storm chaser company a front, and only that, because it does not mean anything as far as quality; the GAF specifications that they are to go by; even the way they are to treat customers, is just a book to them, as I had Contractor that I will post his name later at my home, and he put on GAF Timberline shingles that are terrible. I am making a CD/Power point of the pictures and send them to every CEO who is a competitor of GAF Corporation to show the work of GAF’s “ELITE!” They have not fixed anything to correct this pass issue, or they are distributing the bad batches to these unscrupulous minions, or the final issue could be the contractor damaged them; what I have read here, makes me believe they are just getting rid of the faulty ones with some of their underhanded sign on’s, because how could a brand you roof look like mine does. If the shingles are of poor quality then is it FOOT TRAFFIC or crappy shingles? Warner Roofing has been harassing me on Google Review/Map read my review after sending in an affidavit and certified/return receipt letter. He was accusing me of making fake reviews and setting up false accounts, I am 67 years old, tell me how to do that? Do any of you know…then he put my first and last name for the world to see and stated Just please pay your bill! You can upload photos to Imgur.com and post a link here. Hi Leo, my apologies as I am just seeing your response. I am STILL getting the runaround from GAF. Is there a way I can speak to you in regards to your response below? Can you email me your contact info? You can contact me at: leo @ roofcalc.org (no spaces). My parents roof has the defective shingles from the class action lawsuit. Shilgles have been cracking off since installing. They have at least 3 separate claims with GAF dating back to 2014, 2016 and this year. I have gotten nowhere w GAF customer service and am continuously getting the run around and no call backs ect. I cannot be the only one?! If there are no open class actions that include your situation, I would make a detailed video, put it on youtube, send us the link, and we will try to get you some exposure, and hopefully attention of GAF. Would the more experienced folks here recommend going through the laughable GAF warranty program or recommend the settlement program. Should one bother going through GAF’s warranty claim department, or go directly to http://www.roofsettlement.com ? I submitted a claim to GAF because the roof installed on my house on Nov. 2008, the granules are coming off the timberline shingles. GAF has agreed with this problem. GAF has given me a settlement letter for shingle replacement, (which I HAVE Not signed yet) for just 68% of the prorated use because they say according to the warranty that GAF sent me because it is after 5 years so it doesn’t cover labor or any other parts of the roof, ridge caps valleys parts etc. this comes to $3025.55 offer but I am having to spend a lot of money for a whole new roof. Because I am putting solar panels on my roof and I don’t want to do this again if the roof is only going to last a couple of more years. GAF indicates that this is all they have to do because they say that is what the warranty says they have to cover. Is there anything I can do to get them to pay for a whole new roof or at least all the material. The roof is less than 10 years old and I expected it to last at least 30 years. I am located in SLC, UT and have heard of at least one other case with this problem. Is there anything else I can do to try and get more for defective shingles? Without going into details about settlement offer from GAF, I want to mention a very important aspect, since your are planning to go solar. So my recommendation it to install a standing seam metal roof instead of asphalt – this way you can pretty much guarantee that you won’t have to replace roof before solar panels go bad (25-30 years). Additional benefit of metal, is never having to worry about ice dams, which is a problem with all asphalt shingles, and trust me – ice and water shield / barrier does not work in most cases to prevent ice dams (although manufacturers say that it does). Yes, I am going to pursue a Class Action suit as I see how the inside of GAF is working now. I have records that I allege they know, my suspicions are there are some of us that getting the bad stuff pawned on us; or it is all going to come out like that. Call these people and ask them. I would like to be in a class action suit concerning Kelly roofing and GAF, how do I go about it? My slate roof had been broken and falling because the rusty hooks break off. This problem had been happening from the start..
I’m 80 ….widowed and cannot afford to hire a lawyer on an hourly basis. Was wondering how many actual claims in this lawsuit have been processed and how much awarded to property owners awarded to-date. There just seemed to be a number of areas, that would influence the acceptance of a claim and an actual accurate award amount. Examples..installation, ventilation, pro-ration, etc…Roof award amounts independent of a class action lawsuit are pretty grim for the property owner. Does that seem to be the case in this lawsuit? How can I find out if the problems that caused the lawsuit have been resolved, so I can make a decision about this product? Well, honestly we will never know the truth… even this case was settled without disclosing details. That said, most likely GAF fixed the issues. Will they have other problems down the time-line … yes, sure. But at the same time virtually all roof manufacturers (especially shingle makers) have similar issues / lawsuits that get settled / product defects, etc. With all of the above, most shingles WILL NOT have massive defects. Chances that your roof will have a problem like in this class, are minuscule, and are just as likely to happen with CertainTeed / Owens Corning / Tamko / Malarkey, etc. I think you need to consider a fundamental flaw with asphalt shingles: They are designed to fail (within 10-15 years) … they are commodity product, and roof manufacturers need them to fail, so they can sell you same junk roof in 10-15 years, and so on. 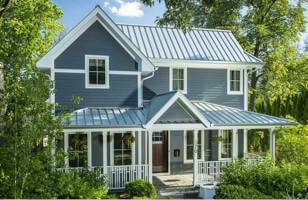 If you want quality – you need a metal roof. If you want “cheap quality” you can go with a 5-rib metal roof, which cost only 15-20% more than shingles (total installed price). However, 5-rib/R-Panel is far superior to asphalt shingles. The shingles are not good at all. Too small and too light. as in what raw materials and what processes are attributed to the cracking?